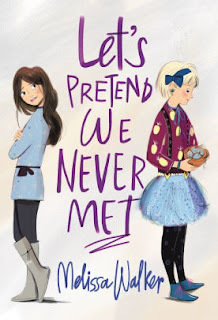 Moving and changing schools in the middle of the school year is pretty traumatic in sixth grade, so Mattie feels she is pretty lucky to find that her new next-door neighbor Agnes is the same age as she is. Instant friend! Agnes, though, turns out to be something of a surprise: she's impulsive and energetic, and "a bit off." And while Mattie mostly enjoys Agnes's company, Agnes can be a bit overwhelming. And, as Mattie discovers when she starts attending school, Agnes isn't well-regarded by her peers. Afraid that being associated with Agnes will hurt her chances of making friends at school, Mattie tries to distance herself from her neighbor when they are out in public. Heartrendingly, Agnes gives her that space. However, as Mattie's social life grows, she finds less and less room for Agnes and eventually shuts her out entirely. To Mattie's surprise, this doesn't make her happy. Interspersed with subplots about her parents struggling to adjust to the move and to caring for Mattie's aging grandmother, the book explores a number of different relationships. The tone is sweet and ultimately affirming. The characters, while different, are ultimately supportive. The message: regardless of age and situation, we all need to be validated and be included in social circles. There's this lovely phrase -- "She knows things" -- that keeps cropping up throughout the book for different characters. It's part of an overall approach to the characters: as much as children and adults like to pretend that the other one does not understand, we all basically do. As a direct result, little of the plot is driven by ignorance, even though often the characters hold back on saying things that might hurt, simply out of kindness. Walker, who writes pretty decent YA books, transitions to middle readers quite well, producing a sweet simple story that leaves you feeling good (albeit with a few tearful hugs along the way).